Exquisite Talea plan on the No. 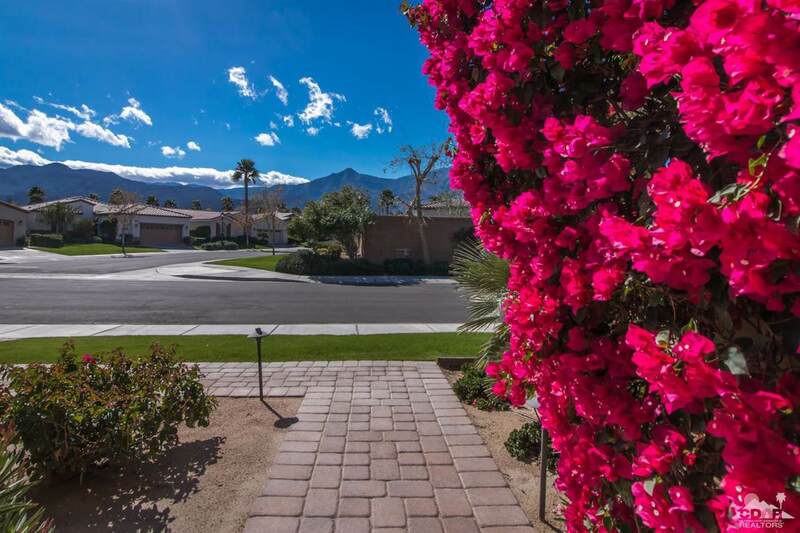 14 hole with appealing mountain/spool/golf course views. This single-story residence includes 2524sqft., 3 BD/3 BA, wine parlor/formal dining, plantation shutters, TV/media cabinet and custom window coverings. 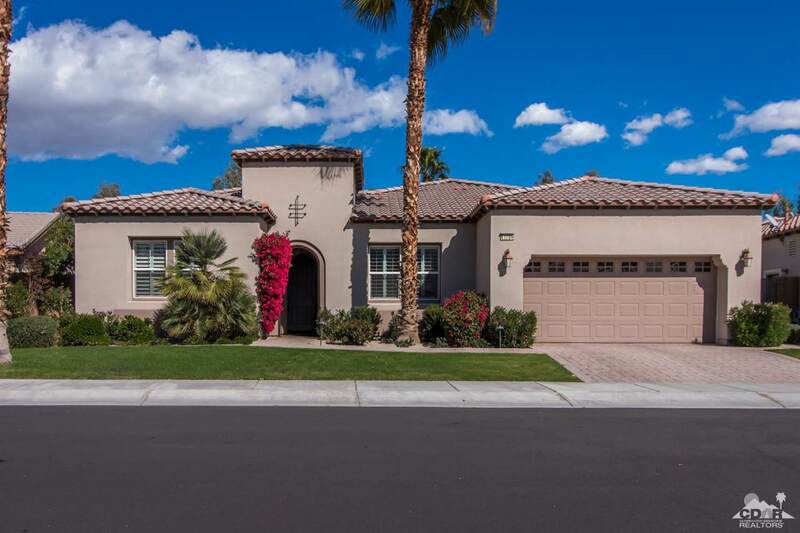 A gourmet kitchen w/slab granite counters, tile backsplash, upgraded stainless GE Monogram appliances, dual islands (w/pendant lighting), ample cabinetry, 6 burner gas cooktop and custom hood. Two guest accommodations, both w/en suite baths including travertine counters/shower enclosures; style and comfort for your visitors. 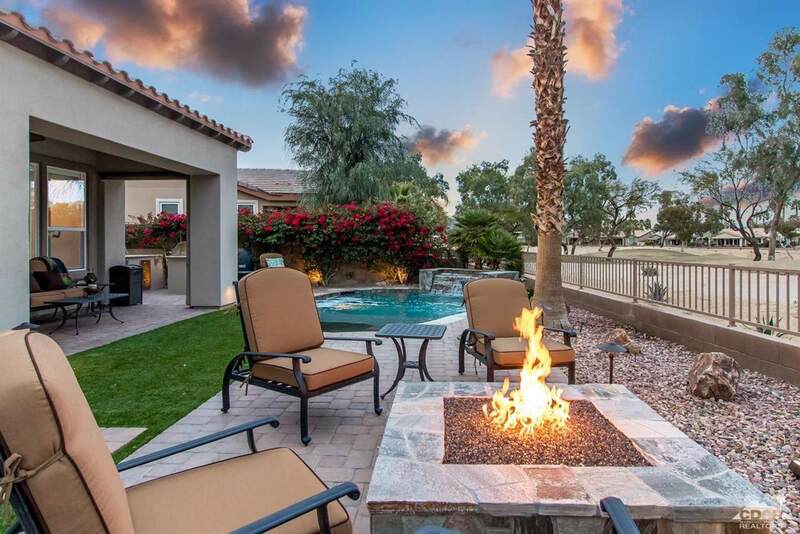 Master retreat w/en suite bath, slab granite counters, travertine tub/shower enclosures, dual vanity, den/office w/built-ins & French door to back yard. 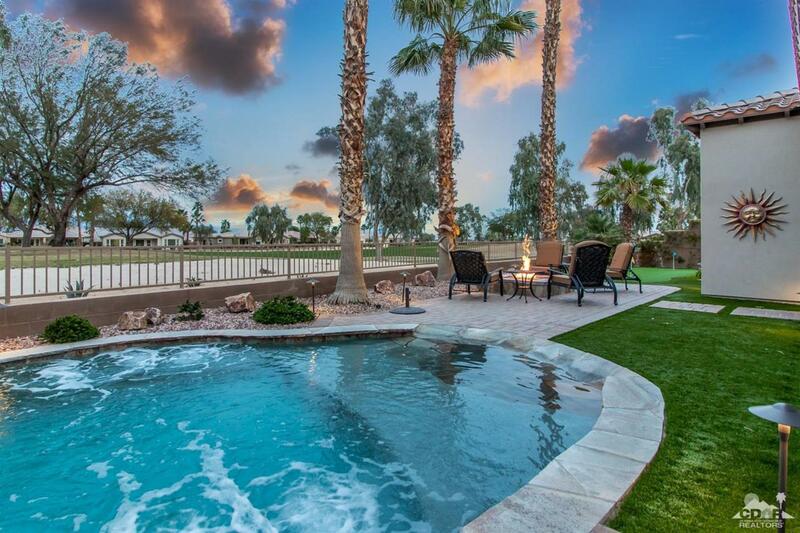 Rear Oasis is special & includes a large pebble-tec jetted spool, w/waterfall, 4-hole putting green, flagstone encased fire pit, custom BBQ station & outdoor bar. Add the outdoor dining area on the side yard, with alumawood pergola, & even room for the golf cart in the garage.